Today during their Back to the Mac event today at their headquarters in Cupertino, Apple gave a first glimpse of the next version of OS X. As anticipated, OS X 10.7 is going to be called “Lion”. What perhaps wasn’t so anticipated (though we guessed), was how inspired it would be by iOS. 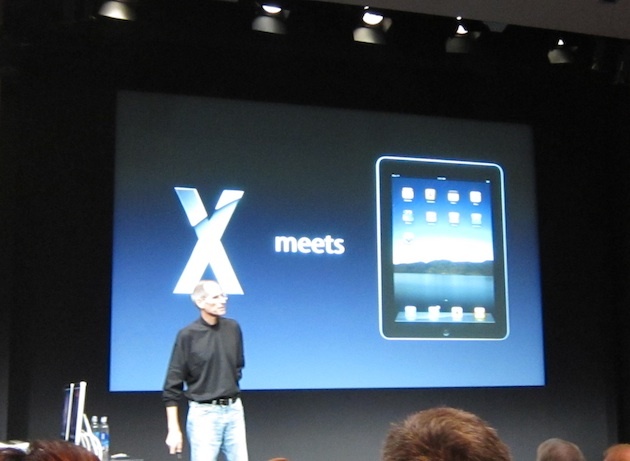 Apple CEO Steve Jobs noted that iOS came from OS X. But he said that with iOS, they’ve invented new things and perfected others. 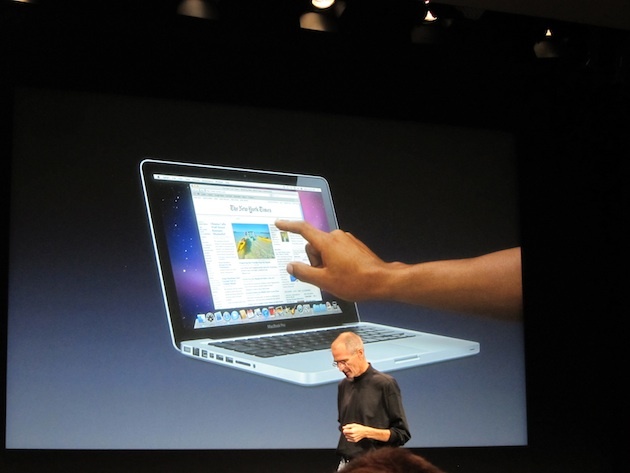 And now it’s time to bring those features “back to the Mac,” Jobs noted. 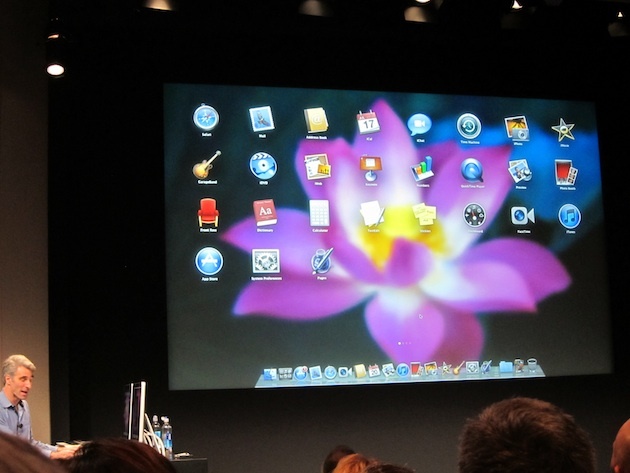 Jobs said that OS X Lion was essentially Mac OS X meets the iPad. It has multi-touch gestures, a Mac App Store, app home screens, full-screen apps, auto-save, and apps that resume when launched. Those are just a handful of features Apple is showing off today, Jobs said. So how does it work? No, it’s not going to be a touch-screen Mac. Touch-screen surfaces don’t want to be vertical, Jobs said. He said that Apple has looked into this a lot. “It gives great demo, but after a short period of time you get fatigue,” he said. “It’s ergonomically terrible.” So instead, they’re sticking with MacBook trackpads and their new Magic Trackpad device for the desktop. 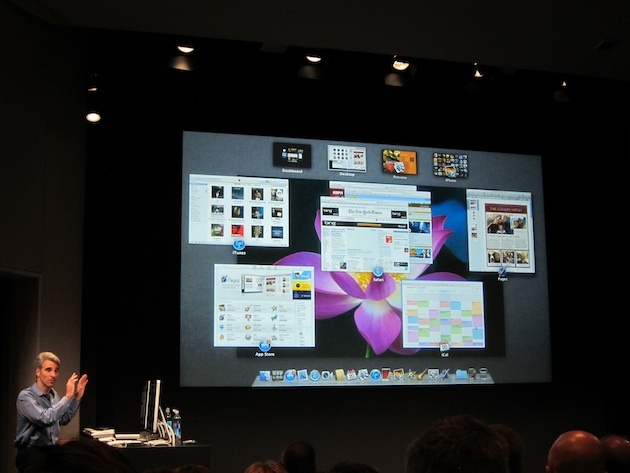 OS X Lion will also bring a new feature called Mission Control. This is a way to view everything running on your Mac and navigate anywhere, Jobs said. Some of these features were then demoed on stage. Multi-touch gestures are key to a lot of what’s new. And, of course, the Mac App Store. It will have the same mixture of free and paid apps as the App Store we all know, the same one-click downloads, the same automatic updates, and the same 70/30 split on revenue for developers. OS X Lion will launch in the Summer of 2011. 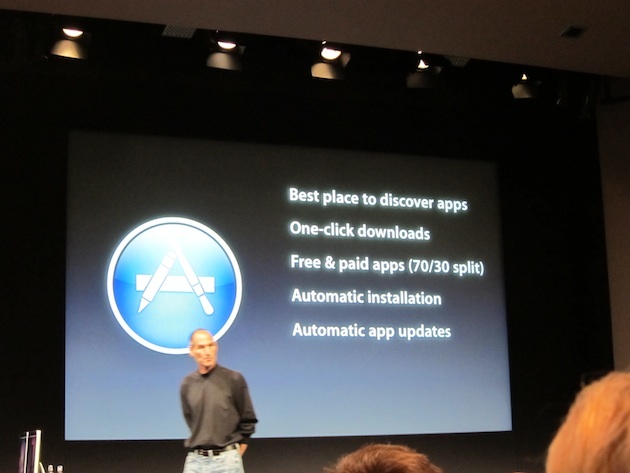 But the Mac App Store will open within 90 days, Jobs said. For more, see CrunchGear’s overview.